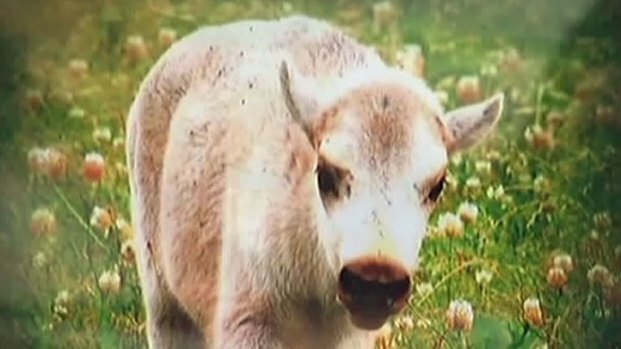 A white buffalo born in a thunderstorm on a Greenville ranch has been named Lightning Medicine Cloud. The Hunt County Sheriff's Department said the criminal investigation into the death of a rare white buffalo is closed. 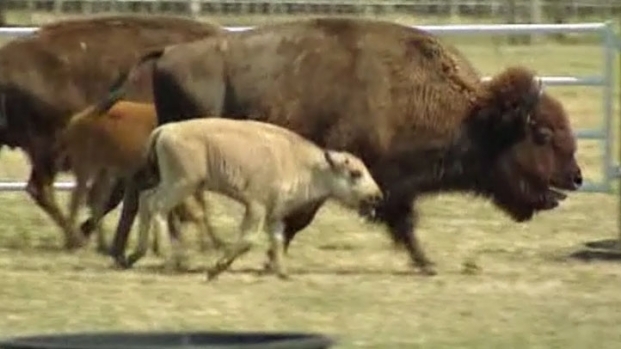 Officials said the buffalo, Lightning Medicine Cloud, died of a bacterial infection. The buffalo was originally reported to have been found mutilated and skinned at the Lakota Buffalo Ranch in Hunt County in May, 2011. The Hunt County Sheriff's Department said Tuesday those reports were inaccurate and that the buffalo had been deceased for six days and buried for three prior to their notification of his death. When officers arrived at the ranch, they were told the buffalo's mother, Buffalo Woman, died that morning. The Hunt County Sheriff's Department and the Texas Rangers then began investigating the deaths of both buffalo, during which they consulted veterinarians, interviewed 25 people and worked with an American Indian in contact with tribal elders. The Hunt County Sheriff's Department said the criminal investigation into the death of a rare white buffalo is closed. 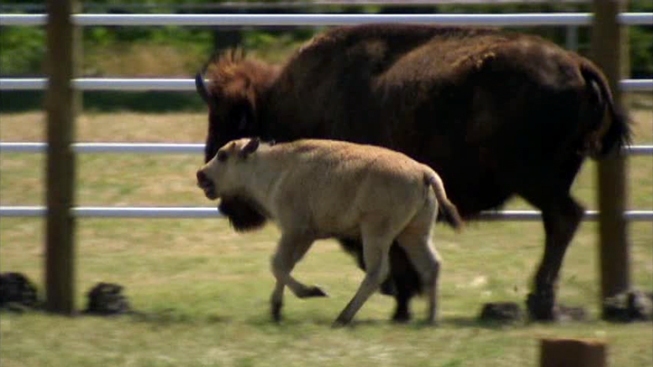 Officials said the buffalo, Lightning Medicine Cloud, died of a bacterial infection. Investigators said Tuesday that the cause of death was a bacterial infection similar to blackleg and that Lightning Medicine Cloud's body was decomposed, not skinned. The veterinarian who was part of the investigation advised officials that there was a lot of skin left on the buffalo's remains. The rare animal, sacred to the Lakota Sioux, was named after a thunderstorm that marked the arrival of his birth as well as a tribute to a white buffalo born in 1933 named Big Medicine. 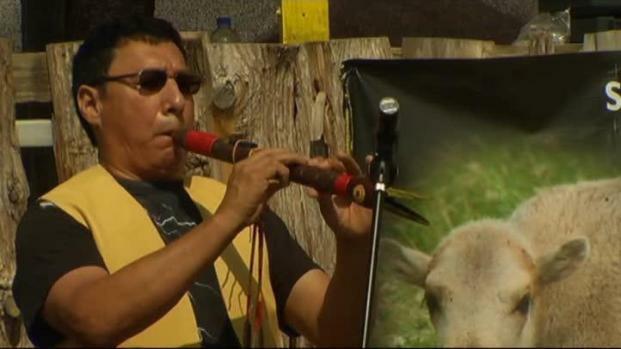 The buffalo died just days before a powwow was to be held celebrating his first birthday. In 2011 Arby Little Soldier, the owner of the ranch, said Lightning Medicine Cloud's legacy will carry on. The Lakota Sioux Indian Nation honor the sacred white buffalo calf and his mother, after finding them slaughtered just weeks ago. During a news conference Tuesday, the sheriff did not answer any questions from the media on advice of the county attorney. A call by NBC 5's Ray Villeda to Little Solider has not yet been returned. Also on Tuesday, investigators said two other calves died of similar infections after the passing of Lightning Medicine Cloud. Officials with the sheriff's department said they would reopen the case if new evidence is found to indicate the buffalo deaths were not natural. Authorities are investigating the death of a rare white buffalo on a North Texas ranch just days before the animal's first birthday. Lakota Ranch owner Arby Little Soldier says he found the buffalo, named Lightning Medicine Cloud, dead on Monday. The buffalo's mother was found dead the next day.